Melanie Phillips, Founding Board Member. It is with great sadness that we announce the passing of Melanie P. Phillips, Director and Secretary of Environmental Stewardship. Melanie’s love of the natural environment led her to advocate for preservation of rivers, bays, and trees for ecological as well as recreational purposes. She was passionate about the symbiotic relationship we have with our natural environment, and she worked hard to educate other to come to the same understanding — that when we harm our natural environment we harm ourselves. She emphatically believed that there is a way to sustain all of life if we will work together toward that common goal. 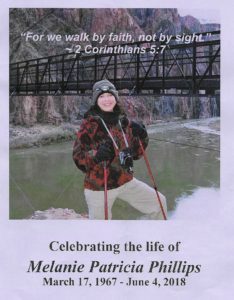 For more information about her life and family, click on the photo above. Melanie was a founding director and inspirational in her support for our work. 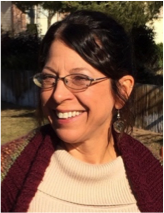 She was passionate about protecting and preserving the heritage Live Oak trees in Smithville, especially those threatened by development near her home. I met Melanie at a community workshop in Smithville sometime around 2006. She was there because she was passionate about the community and determined to develop The Promise Land Retirement Village on the banks of the Colorado River between Bastrop and Smithville. I was there because of my passion for the environment and my interest in protecting the Colorado River. Over the next several years we worked together to support each other in our endeavors — she became a founding director of Environmental Stewardship and I assisted her with The Promised Land project. Her enthusiasm and attention to details helped us keep our work focused and on track. We will greatly miss her contributions to our work and the light of hope she shined so brightly.